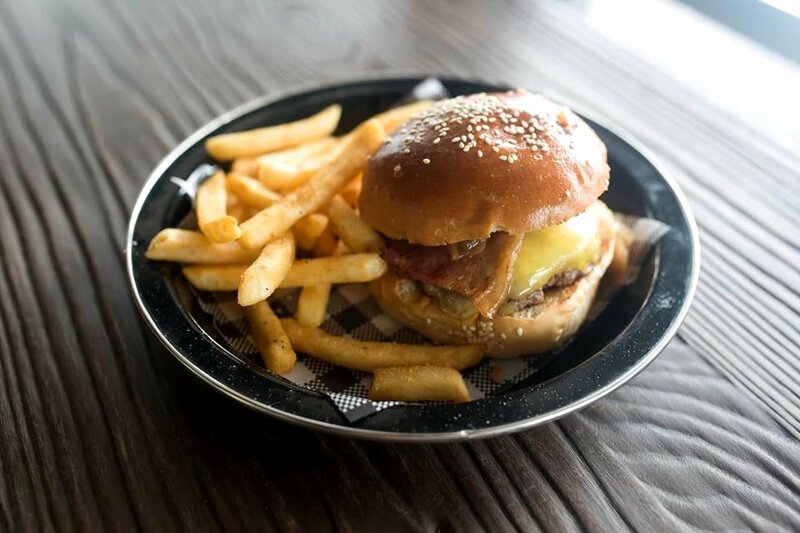 Even after more than three years since the mad burger obsession exploded in the Adelaide dining scene our taste buds (and hands) still cannot pass up a good opportunity to venture out for a delicious, juicy burger. The team were recently invited to dine at Burger Republic in Hyde Park. When one ventures out to a new burger joint and is unsure what to choose out of the many options on the menu it is a safe bet to choose the burger that is named after the restaurant. 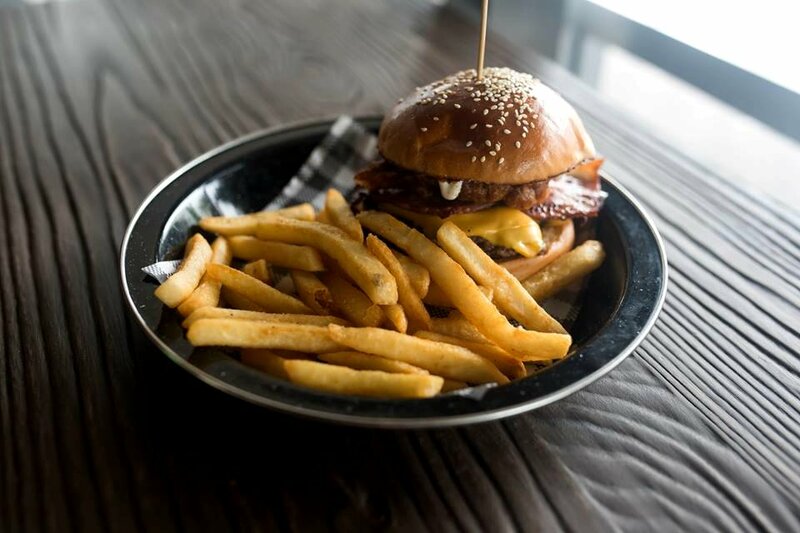 It’s usually a safe option as most of the time it would be a classic, simple burger. This was exactly the case when we had our first bite into The Republic burger. Juicy beef cooked medium rare and nicely seasoned accompanied with sliced Spanish onion, lettuce and tomato. Simple and easy does it. Definitely was the favourite burger for us. The brioche buns had a nice glossy shine to them and the contents were rich, eggy and just simply delicious. 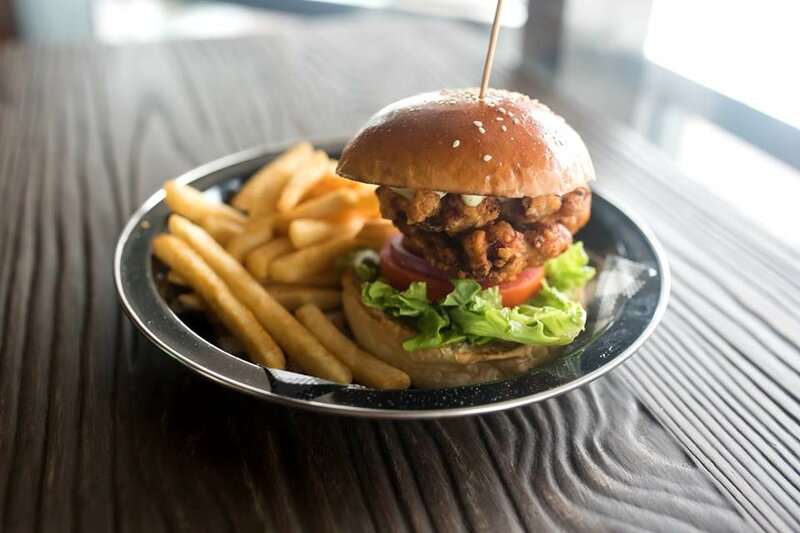 We usually don’t pick the chicken burgers at burger joints mainly because we love our buns sandwiched between a thick juicy beef patty but we just had to give the Chookman Burger at Burger Republic a go. The deep fried chicken had a crunchy, golden brown coating and was not oily which is a big plus from us. The chicken was tender and very juicy. We loved the lemon & herb aioli which gave the burger a little zesty zing to it. Tying it all nice and well together. Next on our burger hit list was the Sweet Thang burger. This burger was a surprising hit with out team. 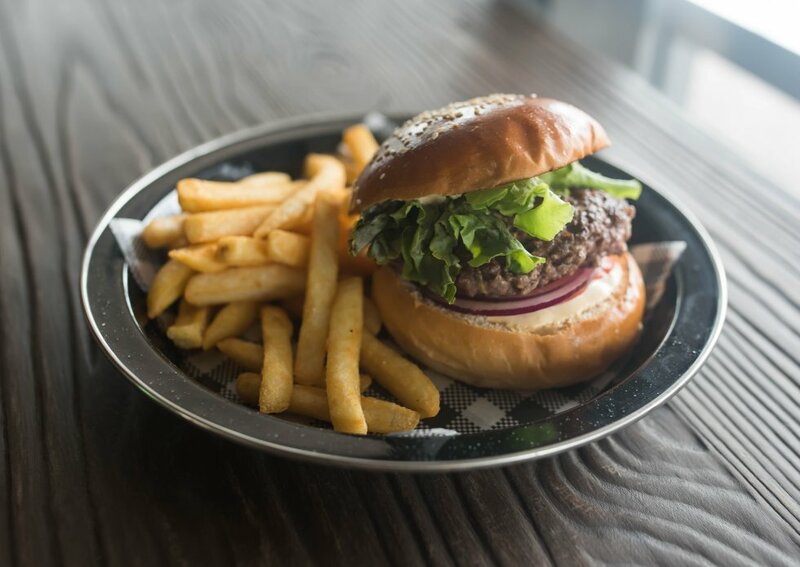 The presence of blue cheese may scare off some but we found it to be the best part of the burger. Its presence was not overpowering and had the adequate amount. The generous amount of caramelised onion also complimented the juicy beef patty and blue cheese well. They were sweet, sticky and tasty. Adding an extra layer of flavour to the burge. Highly recommended. Lastly we had the Gaucho burger. This burger is a lot more on the saucy side and is a much more ‘decadent’ option for those who don’t mind packing in a few more extra calories (though totally still worth it if we must say ourselves). We loved the creaminess from the ranch dressing and the barbeque sauce added a little smokey flavour to the burger. That thick slice of crispy bacon also added another layer of deliciousness to it. A burger’s game can change so much just with a slice of crispy bacon. Indulgent is to say the least. 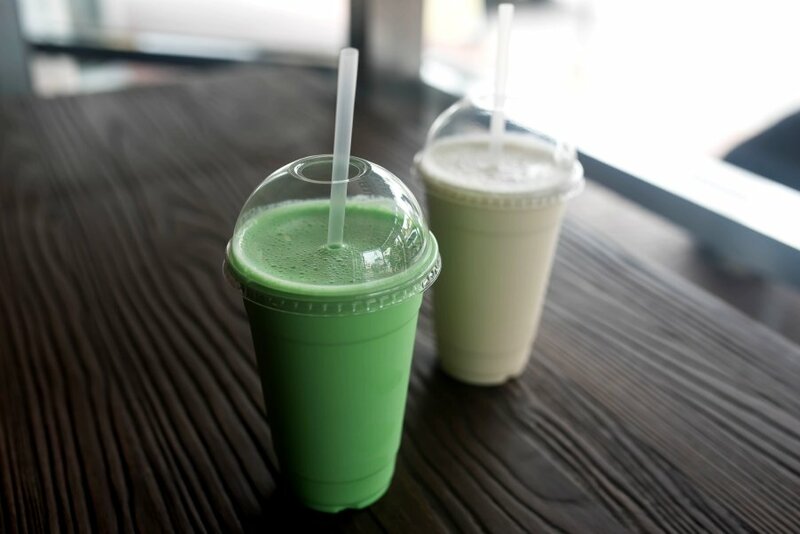 When the lime shake was brought to the table we thought that it would be overpowering with a lime flavour due to the dark colour. However, it was surprisingly light and not too overpowering. It goes down well after eating all those burgers as it’s something refreshing one can drink after. We also liked the vanilla with caramel. Again like the lime the presence of caramel was not too overpowering or overly sweet as is with the case with other cafes/restaurants and shakes. Though they look quite small at first glance these ‘little’ burgers are jam packed with ingredients and you get pretty full after just one burger. You will leave satisfied and happy. Special thanks to the awesome team at Burger Republic for looking after us. All food and drink were provided free of charge.